The more I think on it, the more I realise I enjoyed Yakuza 0 more than I thought I did. The colourful, quirky combination of sandbox gameplay, beat-em-ups and karaoke - the latter only one amongst the game's host of other noteworthy minigames - was jarring for someone bred on the immediate, easy thuggishness of GTA and Saint's Row, but grew on me more in retrospect. 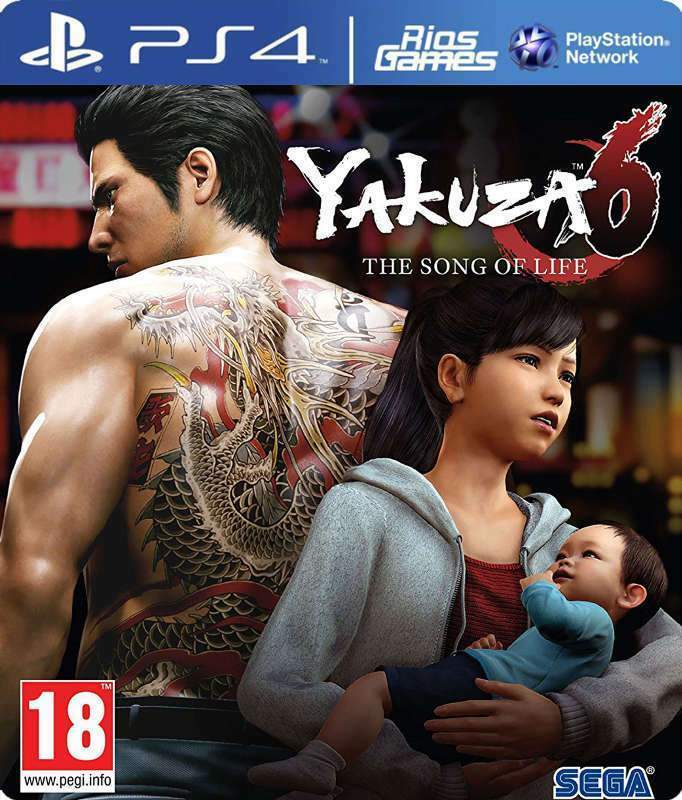 So it made me all the more excited for Yakuza 6; now that I had a foot in the door, I was keen to explore the franchise in general. Trouble is, its sixth numbered entry happens to be the end of the line. Curse my poor timing. While it may not be the end of the franchise, given its array of colourful characters with plots yet untapped, Yakuza 6 draws a line under the tale of lead protagonist Kazuma Kiryu. In the wake of his near-death experience at the end of Yakuza 5 (which, full disclosure, I haven't played), Kiryu winds up in hospital to recover before being thrown into prison for what seems to be the five hundredth time. Upon getting out three years later, he finds that Haruka, the closest thing he has to a daughter and one of the mainstays of the orphanage he runs, has not only been hospitalised under suspicious circumstances following a hit-and-run, but has given birth to a son, Haruto. To make matters worse, the Yomei Alliance - a criminal group whom even Kiryu's own Tojo Clan are hesitant to fight - are after Haruto. With little left to lose, Kiryu must protect Haruto, discover the identity of the child's father, and uncover the reasons behind the Yomei Alliance's involvement. So if you couldn't tell from the above paragraph, there's quite a bit of story going on, giving the finale of Kiryu's story a sense of scope both far-reaching and deeply personal. 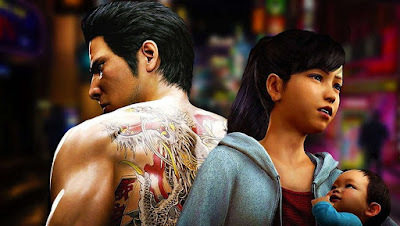 In addition to the old stomping grounds of Kamurocho in Tokyo, Kiryu also travels to the new district of Onomichi Jingaicho in Hiroshima, giving the game some more variety in locale, visual design and sidequests. The streets are densely packed with things to do and no shortage of mooks to massacre with Kiryu's brutal fighting moves. To be honest, reviewing Yakuza 6 on its own, it's a damn fine game. The combat feels much smoother and the transition between overworld and battles is much neater than in Yakuza 0. 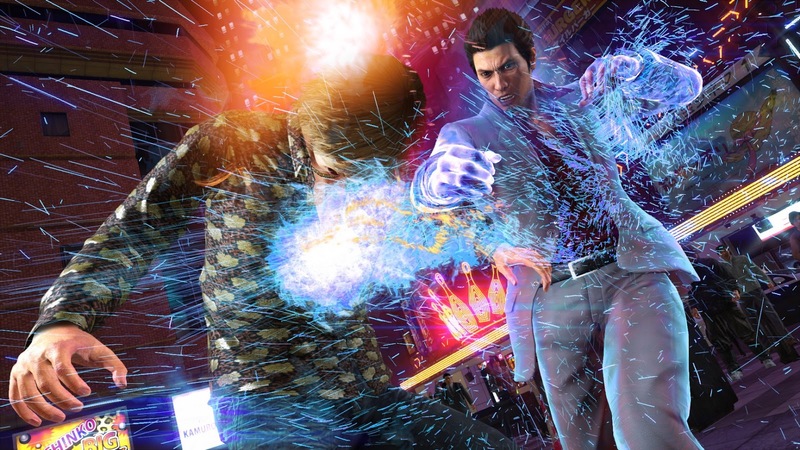 Both districts are also replete with the requisite minigames and sidequests, including at least one turn for Kiryu in a fruit mascot costume. Graphical enhancements make the most of the PS4 hardware; this is a gorgeous game to look at, and even the cutscenes have been developed with what looks like more photorealistic panache. 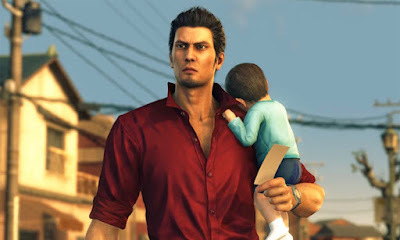 While the backstory was confusing at times for someone like me, only barely familiar with the series' history through a game that technically serves as a prequel, the game's narrative is a reasonably smooth entry for newbies; I found it pretty enjoyable, becoming emotionally invested in Kiryu's struggle. This is also despite the overwhelming amount of time the game yanks control from you in order to play out a lengthy story cutscene, of which the game has many (some might say, too many). But to hear some long-running players tell it, the game does an overall disservice to its legacy. Though there are many long-term returning characters - most of whom's personalities and relationships to Kiryu are summarised in a handy dream sequence at the game's start - most of them don't show up for long. Rather than previous games' multiple playable protagonists, here Kiryu is the only one we get to play with directly. And as a grand finale to a story that's been running since the first game hit the PS2 in 2005, many long-term fans are calling the ending comparatively disappointing to all that's come before; still good, but not quite the capstone watermark they were hoping for. I may not be the best judge of Yakuza 6 as the concluding chapter of this epic saga, though it definitely compares favourably to the good times I had with Yakuza 0. I can safely say, though, that I had a ball with it. There's enough for the game to stand on its own feet and rope newcomers in to the wild world of the Japanese mafia, with a strong story beautifully realised in graphics and gameplay. Whether it's a good full stop on the franchise thus far is for veterans to decide, but I'd imagine the most devout Yakuza fans will still find more than enough to be recommended on. 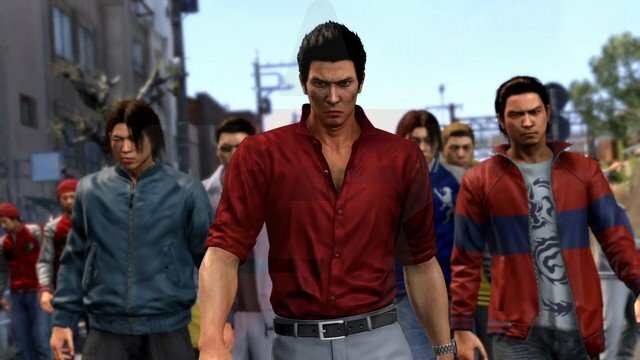 Yakuza 6 is available on Playstation 4 now. Review copy kindly supplied to Geek of Oz by Five Star Games.